DLF Home Developers (DHDL), a wholly owned subsidiary of DLF, and Green Horizon Trustee, an affiliate of Hines, have entered into a joint venture to develop a high-end commercial project in Gurugram, said the companies. The total investment by the joint venture partners in this project is about Rs 1,900 crore. Hines will initially own 33 per cent equity in the joint venture with an option to increase its stake to up to 49 per cent. The company has invested about Rs 500 crore in the first tranche; it might go up to Rs 1,000 crore over time. The project would be developed in the next four years and would come up on 11.76 acres. The land parcel is located across the highway from the existing business district of DLF Cyber City. “This is our second JV with them. With our joint experience, we shall work together to develop world-class buildings, which will set new standards for commercial buildings in this part of the world,” said Sriram Khattar, managing director, DLF Rental Business. DLF and Hines entered into their first JV in 2008 to develop One Horizon Center in DLF-5 Gurgaon. “This is an excellent location that benefits from great connectivity by road and by metro. The site is located close to CyberCity and we aim to build a high-end corporate address,” said Amit Diwan, managing director and country head, Hines India. The realty major also plans to raise an estimated Rs 3,000 crore through sale of equity shares to qualified institutional investors. With plans of being a debt-free company, DLF had earlier announced plans to issue up to 173 million shares, through qualified institutional placement (QIP) to raise funds and pre-pay loans. DLF is planning to complete the QIP by June this year. On the back of a reworked business strategy and demand uptick for ready-to-move-in properties, the country’s largest real estate firm, DLF, registered sales of over Rs 2,400 crore for residential inventory properties in 2018. 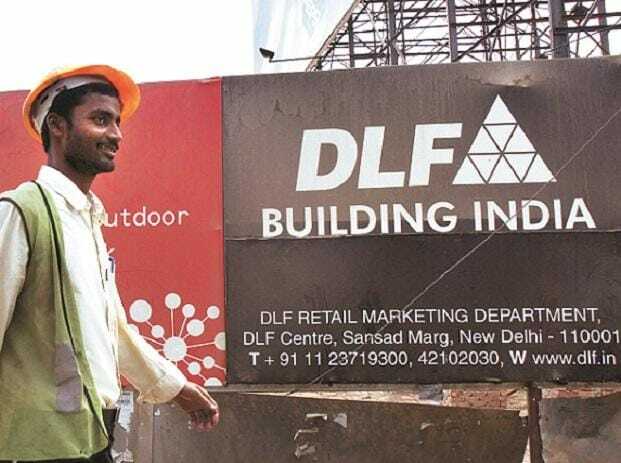 Last year, DLF said it would sell apartments only when it gets occupancy certificate after completing the project as part of its new business model to remove any uncertainty regarding costs and delivery timelines. The company has Rs 12,500-crore worth of residential inventory, which it plans to sell off over the next few years. Some of the reasons behind the recent rise in demand for DLF properties are that the company is giving the flats at a discounted price and offering upgrades to those who had earlier bought smaller units. DLF Group has 227 million square feet of development potential across residential and commercial segment. The group has an annuity portfolio of over 32 million square feet.